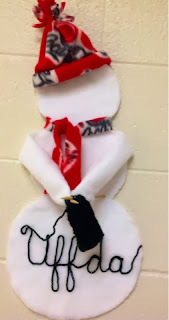 Art With Mr. E: More Faculty Snowmen! 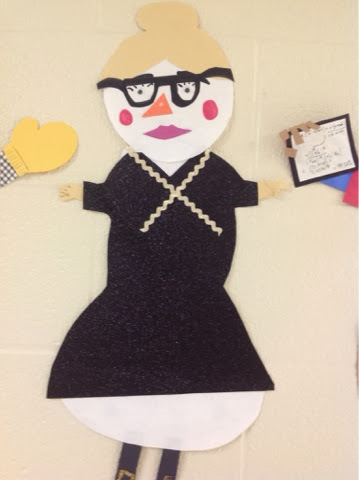 This Sheldon snowman was made my principal. She LOVES The Big Bang Theory!! She doesn't feel she's an artist, but she always does great work!!!! 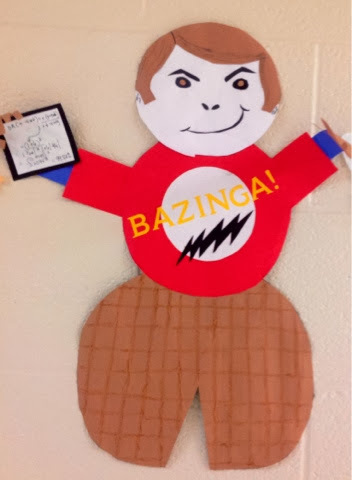 BAZINGA!!!!!! This snowman has a lot of heart!! This teacher overcame breast cancer last year, and has a fun short cropped hair now. She stayed positive, kept working out, and kept working throughout her treatment. She is a true fighter and inspiration to all!!!!!!! 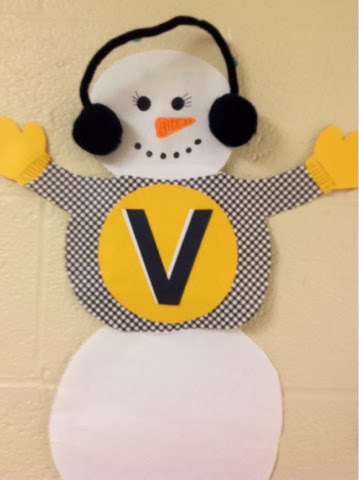 The V snowman is Vandy for you non-TN people. 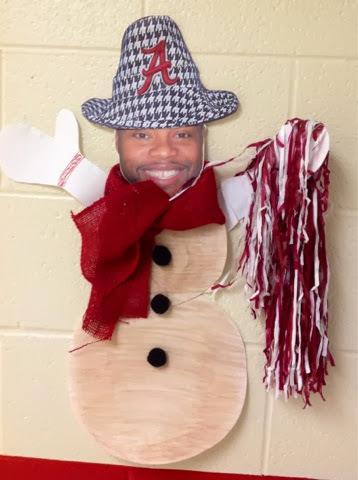 The Alabama snowman is my assistant principal...who totally did NOT make his own snowman. He had one of our secretaries do it. 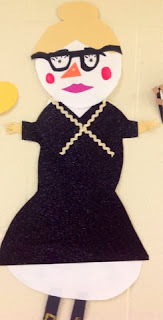 She did a great job, but I totally called him on it! ha ha The snowman in the black dress is a Teach For America teacher that is new to our school. She's AWESOME! She has very long hair...and always wears it in a messy bun...kind of a fun hipster person. 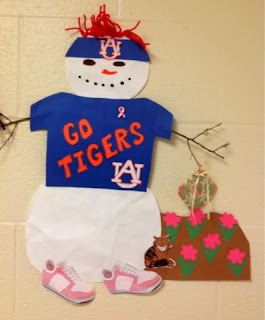 This was created by a teacher that is a MAJOR germaphobe!!!!!!! 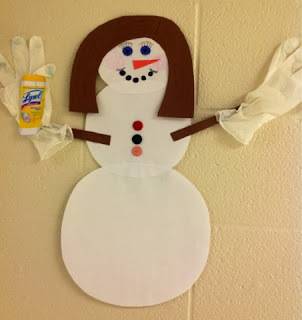 I laughed so hard when she gave this to me....cause I've actually seen her with rubber gloves and Lysol before cleaning her classroom!! !